In observance of Christmas and New Year’s holidays, the sales offices will be closed on December 24, 25 and 31 of 2017 as well as January 1, 2018. 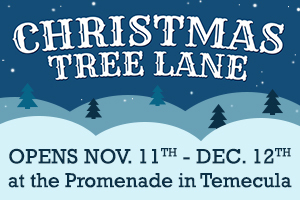 Don’t miss a special opportunity to be part of the holiday magic, visit Christmas Tree Lane at the Promenade in Temecula. Now through December 12th, 20 professionally decorated Christmas trees will be on display and raffled off to benefit the mission of Habitat for Humanity Inland Valley. These spectacular trees are located on the lower level outside Macy’s Women and Home Departments. Volunteers are also needed, sign up by calling 951.296.3362. Proudly powered by WordPress | Theme: Axon by DesignOrbital.